This one e-book could save you hundreds of dollars and hours of frustration and help you avoid the pitfalls that cause sites to fail. Even if you’ve been running a site for years, I guarantee you’ll learn something you didn’t know in this powerful book. You’ll also receive my blog posts, including Tips Tuesday. 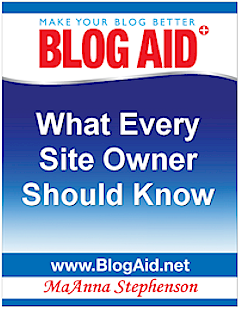 Plus, you’ll be the first to know about emergency site issues, free webinars and special offers.